If you ever use the Internet or open a newspaper, you’ve seen ads from home mortgage lenders advertising their low interest rates. 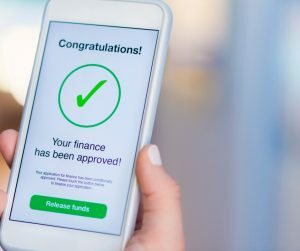 You may have even contacted one of those lenders, only to learn that the advertised rate only applies if you really don’t need to borrow the money. The interest rate does matter. The interest rate you agree to pay will determine both your monthly payment and the total amount of interest you’ll pay over the life of the loan. For instance, if you get a 30-year on $200,000 with a 4% interest rate, your monthly payment would be 954.83 and you would pay $143,739 in interest over the 30 years. If your interest rate rises by one quarter of a percent to 4.25%, your monthly payment would be $983.88, and you would pay $154,197 over 30 years. Mortgage interest rates change from day to day and from borrower to borrower. 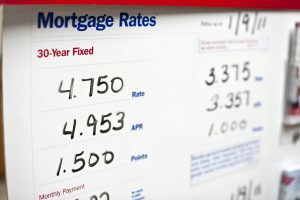 The overall range of interest rates offered to borrowers across the country fluctuate based on things such as consumer confidence, employment statistics, fluctuations on home sales, and other economic factors. When economic activity is sluggish, the Federal Reserve will provide more funding and interest rates will go down. This is what we saw after the mortgage crisis, and rates have still not risen to pre-crisis levels. On a more personal level, the interest rate offered to you will first depend upon the strength of your local housing market. After that, the loan type will come into play. Conventional mortgages – those extended to borrowers with solid assets, a steady income, well-established credit, and high credit scores – have the lowest interest rates. FHA (Federal Housing Administration) loans, VA loans, and U.S. Department of Agricultural Rural Development Loans carry slightly higher interest rates. Next is the type of interest rate. Borrowers can choose a fixed-rate mortgage or an adjustable rate mortgage. While a 30-year loan is standard, they can also choose a 15-year (or other) term for repayment. Shorter term loans carry slightly lower interest rates. Naturally, loan payments are higher when the term is shorter. A fixed rate mortgage carries an interest rate that does not change throughout the life of the loan. An adjustable rate loan starts out with a lower rate that adjusts to a higher rate after 3, 5, 7, or 10 years. After those factors are considered, the interest rate offered comes down to the borrower. 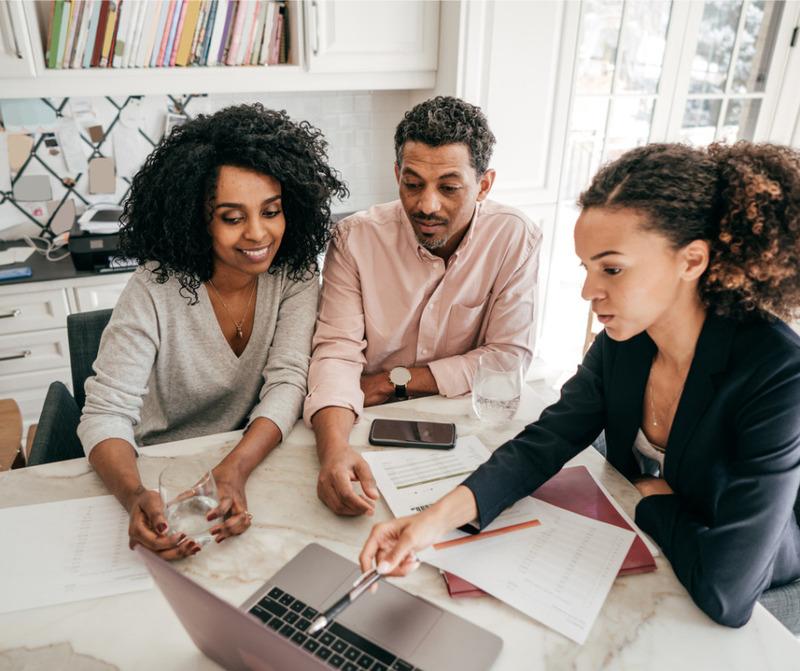 When you apply for a loan the lender will examine everything about your finances, from your credit scores to your debts, your assets, and your income. The better you look, the lower the interest rate. Your down payment is also a consideration. The more you put down, the lower your interest rate. In addition, if you pay less than 20% of the purchase price for a down payment, you’ll have to pay for mortgage insurance. This will add from 0.3% to 1.15% to your home loan. What is a mortgage interest rate lock and why is it important? Since interest rates do fluctuate and borrowers are approved based upon a specific mortgage payment amount, lenders offer “rate locks.” Rate locks protect buyers from a rise in rates (and payment) that would disqualify them from obtaining a loan. This is a commitment from a lender to give you a home loan at an agreed-upon interest rate, provided you close your loan on or before a certain date. That date is generally 30 days from the date of approval. If you’re close to closing, many lenders will extend the lock as a courtesy while others will extend for a fee. Do remember that at this point, the loan is still provisional. You have a loan approval and a rate lock, but that loan approval is based on a last-minute review. So don’t do anything foolish. Don’t quit your job, co-sign a loan for a friend, give your Social Security number to a salesman for any reason, apply for a new credit card, deplete your bank accounts, or run up the balances on your current credit accounts. In other words, until your mortgage loan is finalized, don’t do anything at all to change your financial picture. First, what is a capital gain? It’s the profit (if any) that you make on property, such as a personal residence, that you sell after owning it for a year or more. Capital Gains Tax is the tax on that profit. The new Tax Cuts and Jobs Act made changes to the Capital Gains Tax, so even if you understood it in the past, it’s a good idea to brush up on your knowledge. The $250,000 exclusion didn’t go away. The IRS still gives each person a tax-free exemption for up to $250,000 of the profit on a personal residence. Thus, a couple with joint ownership could exclude up to $500,000 in gains, as long as they meet the residency requirements. They must have owned the home for at least two years. They must have occupied the home as their primary residence for at least two of the past 5 years. You must not have used the exclusion within the past two years. Other partial exclusions do exist, so if you don’t meet these requirements, consult your tax advisor and/or review IRS Publication 523. Let’s assume that you and your spouse have owned a home for a number of years and your gain after paying all the costs of selling will come to $600,000. You qualify for the exclusion, so you now owe Capital Gains Tax on $100,000. If you and your spouse earn less than $78,750 (or you as a single filer earn less than $39,375) you owe nothing. A 15% tax will apply if you’re a single filer earning up to $434,550, joint filers earning up to $488,850, or the head of a household earning up to $461,700. If your earnings exceed these numbers, your capital gains will be taxed at 20%. Do keep in mind that some states also impose a capital gains tax, and very high earners could owe a 3.8% net investment income tax. What if you inherited the home you’re selling? 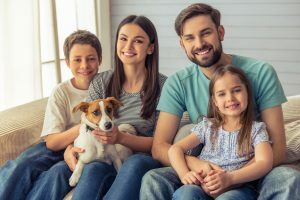 If you inherited recently, you should owe little or no capital gains tax, because the tax basis of a home “steps up” upon the death of the owner. Even if your parents paid $50,000 thirty years ago for a house that is now worth $1,000,000, you won’t owe capital gains unless it appreciates in value between the date of their death and the date of the sale. As far as the IRS is concerned, the tax basis of that home is now $1,000,000. This “step-up” in tax basis is the reason why probate specialists advise heirs to cancel any sale that was pending prior to the owner’s death. Since the real estate market can be volatile, you never know how much your home might appreciate over a few years. That’s especially true if you make major improvements. Just to be on the safe side, do document those improvements and keep all the receipts with your other documents related to the home. You can’t count repairs to the AC or replacing a torn window screen, but things like adding a deck, finishing the basement, remodeling the kitchen, replacing the flooring, installing new roofing, or trading out to energy-efficient windows and doors do count. Those improvements do increase the value of your house and their cost will become part of your base for taxation – as long as you have the documentation to prove it. Can real estate investors avoid capital gains tax? Yes, but it is more complicated, and it only works if you intend to stay in the real estate investment business. By using an IRS approved 1031 Exchange, you can sell one property and buy another without recognizing the gain – and thus not having taxable gain. 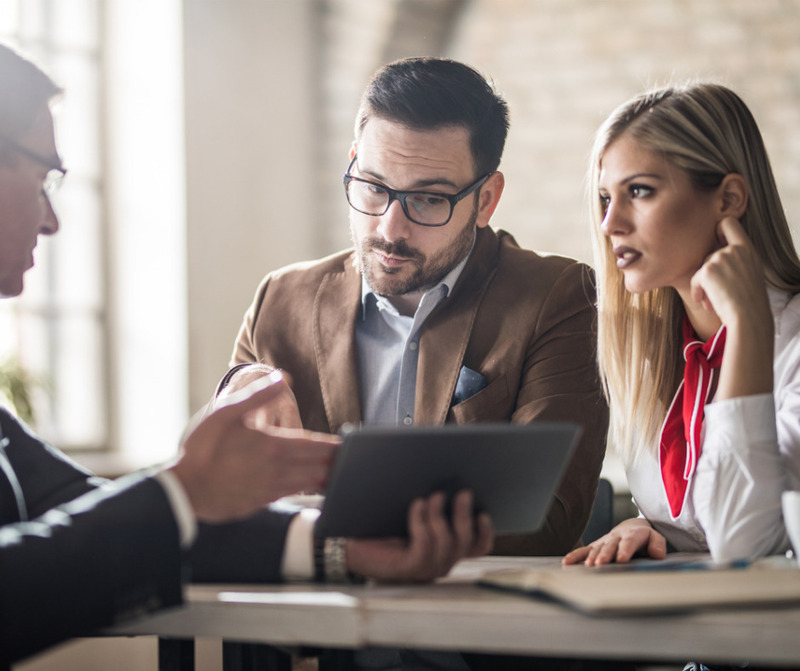 The process is complicated and is subject to strict rules and timelines, so consult with a tax advisor and/or real estate attorney well in advance of making such a move. If you’re a first time homebuyer, you may have thought ahead to a few of the expenses you’ll face over the next year. For instance, if you now own a lawn, you might have set aside money for a lawn mower or added a lawn maintenance service to your anticipated monthly budget. Hopefully you’ve also planned ahead for your first expense: New locks for your house and garage. Just because the sellers gave you all of their keys doesn’t mean there are no more keys floating around. Repair people, babysitters, house cleaners, dog walkers, friends, and relatives may also have keys. I’m not suggesting that any of those people might be thieves, but you never know. AND you never know who might have taken a key from them. Depending upon the kind of locks you want, the number of locks you need, and whether you have the skill to make this change yourself, this could cost anywhere from $100 on up. Smoke and carbon monoxide detectors. If yours is a new home, these are probably hardwired in and have battery backup, so all you’ll need to do is make sure the batteries are fresh. If you’ve purchased an older home, with older detectors, it would be wise to replace them. It would also be wise to add detectors to more rooms, such as bedrooms. Fire Extinguishers. Keep one of these in the kitchen – at a minimum. If yours is a 2-story house or has a basement, keep one on each level – and be everyone in the household knows where to find it and how to operate it. HVAC Filters. For highest operating efficiency, filters should be changed monthly. Prices can range from around a dollar up to $15 each, depending upon the quality of the filter and whether it has allergy reduction elements. Pest Control. Even if your new home passed a pest inspection, you could be in for a surprise. Some insects go into hiding over the winter and suddenly appear in droves when the sun begins to shine. Depending upon whether the infestation is insects or rodents, you can expect an initial expense of $50 to $75. Since extermination generally kills the adult insects but doesn’t always kill the eggs and larvae, you may need 2 or 3 treatments. Duct Cleaning is an often overlooked task, but it should be addressed. Dust, pollen, and pet dander accumulate in heating and air conditioning ducts, where it is blown out into the house every time the fans come on. Even if no one in the household suffers from allergies, the excess dust is an annoyance, so duct cleaning is a wise investment for first time homebuyers. Expect the cost to be upwards of $400. Fireplace / chimney cleaning. If your new home has a fireplace, do pay to have it and the chimney cleaned, even if you don’t plan to use it often. A dirty chimney IS a fire hazard. Tree trimming or removal. If your new property has trees on the grounds, keep an eye on them. Branches that may rub on the roof and any damaged branches should be removed by an expert. If a tree is diseased, the entire tree should go. Removal is expensive, but having a large branch or a tree crash through your roof is not a happy experience. If you’re not sure whether your trees are safe, consult with an expert. 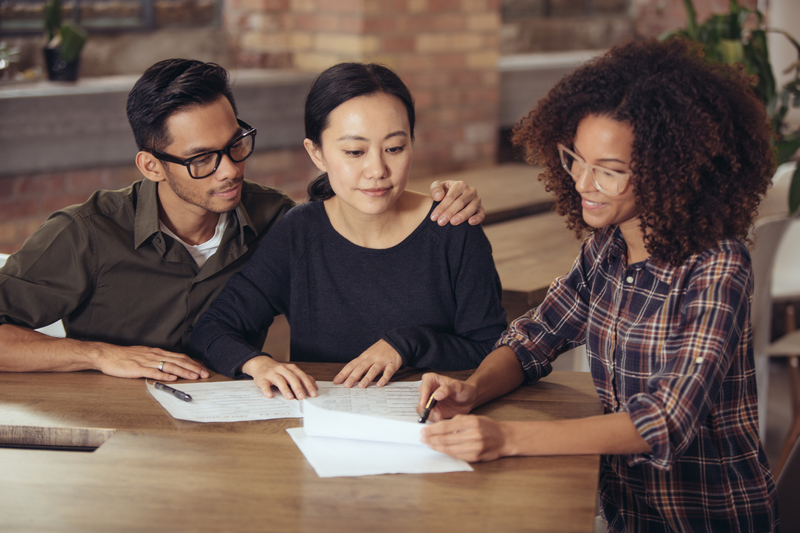 If you’re thinking of becoming a first time homebuyer, your first step is to become pre-approved for a home mortgage loan. We at Homewood Mortgage, the Mike Clover Group would love to provide that service to you. or apply on line at www.mikeclover.com. 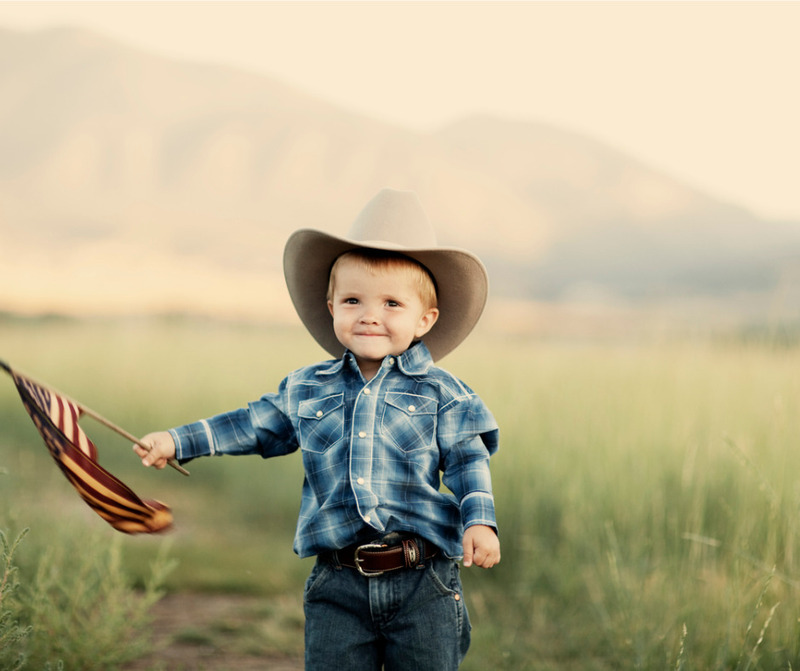 About 14% of U.S. citizens migrate from one state to another each year, and for the past several years, Texas has been one of their most favored destinations. Last year, the two fastest growing population centers in the U.S. were Houston and the Dallas/Fort Worth metro area. While new residents come from all over the country, the largest numbers seem to be arriving from New York and California. Zero personal income tax in Texas is one, especially for residents of New York, with a top rate of 8.82 and California, where the top rate is 12.3. Jobs. In 2018 Texas saw a net private sector job growth of 3.6% – compared to 2% growth for the country overall. Unemployment is also lower. While the U.S. now stands at about 4%, Texas unemployment is just under 3%. Business-friendly government. With fewer regulations, lower business taxes, and more freedom for companies to grow and thrive, increasing numbers are either founding business in Texas or relocating their companies to Texas from other states. While these companies come from all over, research by Spectrum Location Solutions LLC revealed that 1,800 companies left California in 2016 and the primary destination for those relocations to more business-friendly states was Texas. That trend continues. McKesson Corp., the nation’s sixth largest company and largest pharmaceutical distributor, announced in November that it will relocate its headquarters from San Francisco to Irving, Texas in April. Exxon Mobil is also headquartered in Irving. Lower housing prices. While prices vary from city to city, the median home value in Texas stands at $195,000. In Dallas it’s $211,600, and in Austin $364,100. In California the median is $393,000. In Los Angeles it’s $689,500, and in San Francisco, $1.61 Million. In New York State the median is $290,000, with the median in New York City at $680,000. The quality of life is different in Texas. It’s cleaner, for one thing. Trash everywhere and people using streets for toilets is not common in Texas. Add to that, we’re friendly. We even stop to help strangers. We also have more elbow room per person. In Texas there are about 105 people per square mile. In California there are 251, and in New York 419. 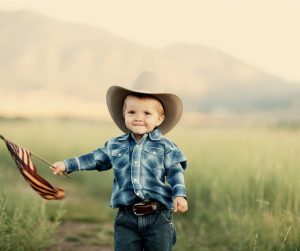 If you want to live where you don’t have neighbors within just a few feet, it’s easier – and less expensive – to find your spot in Texas. Texas offers the geography/climate you want. From the Gulf Coast, to the plains, to the mountains – we have it all, including a wide variety of trees, plants, and wildlife. Some migrate to Texas because they simply feel safer here. Texas is not a “Sanctuary State.” Senate Bill 4 bans sanctuary cities in the state and allows police officers to question the immigration status of anyone they arrest or detain, including during routine traffic stops. It also allows police to honor requests from immigration authorities to hold detainees suspected of being in the country illegally. Gun laws are citizen-friendly. Any citizen who is not a felon is allowed to own a gun and to carry it in his or her vehicle. Open carry permits are freely issued to any non-felon 21 years or older after completion of a 4-6 hour gun safety course. FICO is the credit score used by banks to determine whether they’ll grant you a mortgage loan and if so, what interest rate you’ll pay on that loan. FICO is just one type of credit scoring. Insurance companies and others use different scoring methods. Before granting a loan, banks look at a borrower’s FICO score along with other factors such as income, employment history, and assets owned. FICO scoring was created by the Fair Isaac Corporation to assess the likelihood that you will uphold you obligation to make regular payments on a home loan. It assigns borrowers a 3-digit score based on credit reports from each of the major U.S. credit bureaus: Experian, Equifax, and TransUnion. 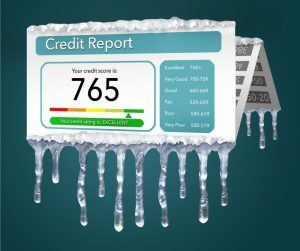 While these reports will be similar, they are generally not exactly the same because not all businesses report to all three credit bureaus. FICO scores range from 300 to 850, with 850 being a perfect credit score. If your score is 750 or higher, your score is rated excellent and you’ll be in line for the best interest rates. From 700 to 750 is good, while 650 to 699 is fair. Anything under 650 is rated poor. If you get a mortgage loan with a score under 650, you’ll pay the highest interest rates in the industry. What this means to you if you’re planning to buy a home is that it is in your best interests to raise your FICO score as high as possible. 35% is based on your payment history. Since this is the largest factor, it always pays to make every payment and to make it on time. One 30-day delinquency can drop your score by as much as 110 points. Time does heal, so don’t panic if you’ve had late payments in the past. The negative notation will fall from your credit report after 7 years, and the greater length of time since the last late payment, the better your scores will become. 30% is based on your debt-to-credit percentages. Many would-be borrowers have cancelled credit card accounts in an effort to raise their scores, and it works exactly opposite. The more credit you have available that you don’t use, the better. The optimum number here is 30%. Do your best to pay every credit card down to less than 30% of the credit available to you. What can you do to lower this percentage if you don’t have funds available to pay down the balances? Ask your current credit card companies to increase your credit limit – then don’t use the increase. 15% is based on the length of your credit history. If your track record of responsible payments is 20 years old you’ll be in much better shape than if it’s only 6 months old. More than one would-be homeowner has been dismayed to learn that they had low or no credit ratings because they’ve saved their money and paid cash for everything over the past 20 years. 10% is based on your mix of credit. They like to see that you’ve had some mixture of credit cards, car loans, student loans, installment payments at department stores, personal bank loans, and of course, mortgage loans. 10% is based on new credit accounts, and this one is a negative. Opening new credit card or department store accounts within a short period of time seems to be a red flag, lowering your credit worthiness. A new account might lower your debt to credit ratio, but it will also lower the average number of years on your credit history. This red flag is the reason why real estate professionals and mortgage lenders caution borrowers not to go shopping and give any sales person their social security number. 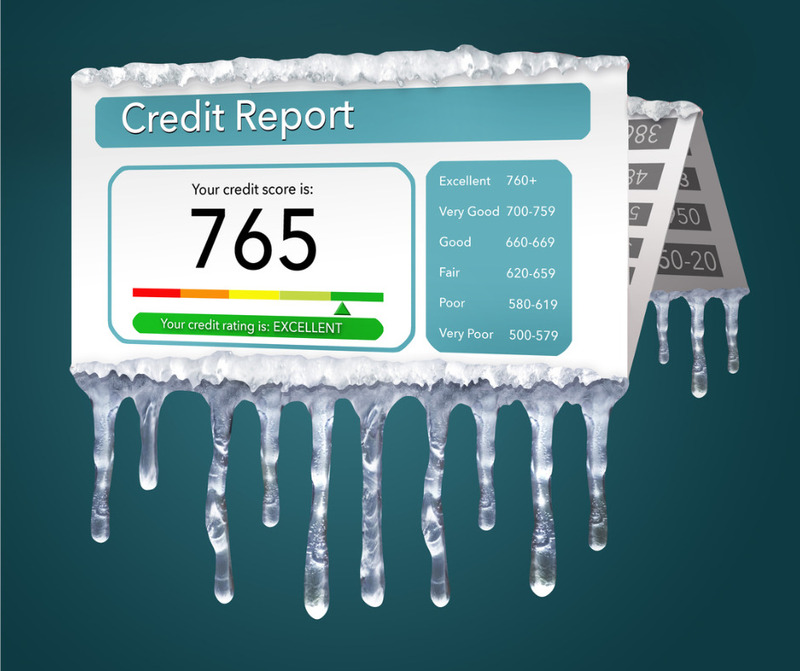 You don’t want any new credit inquiries on your report. Do check your credit report regularly. Reporting errors are common, and some errors could affect your scores. You may have a perfect bill-paying history, but if someone with the same name as yours does not, their missed payment could inadvertently appear on your credit report. You can get a free credit report at CreditKarma.com and at AnnualCreditReport.com. In addition, some credit card companies now offer free credit scores and reports to their customers. Do take advantage of that service. If you find an error you’ll need to contact the credit bureau that is reporting the mistake, then show them proof that it IS a mistake. After that it will take some time to remove the error, so don’t wait until you’re ready to buy a home to review your report. 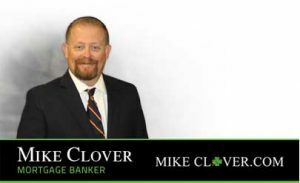 If you’re just starting to think about buying a home, get in touch with us at Homewood Mortgage, the Mike Clover Group. We’ll be glad to get you pre-approved for a mortgage loan, and if your credit scores need to come up a bit in order to get the best interest rate, we’ll be happy to provide advice. Posted in Uncategorized	| Comments Off on Are You Required to Have a Mortgage Pre-approval Before You Choose a House? When you start talking about buying a new home, you’ll start getting advice. Some will tell you where and what to buy and others will give you mortgage advice. Before you listen, check it against our list of 5 pieces of mortgage advice you should ignore. Sure – they might. But do look farther. Some local banks have good loan programs, with rates and terms that will be beneficial to you. Others do not. A mortgage broker has the ability to “shop” programs from many banks in order to find the program that’s just right for you. So check your local bank. Then check with one or two mortgage brokers. Get good faith estimates from each of them, then choose the lender who offers you the best rate and terms. This is really terrible advice. Seeing a lender should be your first step. Why? Because choosing your lender and becoming pre-approved for your loan before you begin to shop for a home will benefit you in three ways. First, it will show you whether you need to make some changes to increase your credit score before you make an actual loan application. If that is the case, your lender will (should) give you some advice to make that happen. Second, it will enable you to know your spending limit. It’s horribly disappointing to fall in love with a house only to learn that it is definitely out of your range. Third, having a loan pre-approval in hand when you make an offer will assist in getting your offer accepted. Why should a seller take a chance on someone who may or may not be able to buy? These days, most will not. On the surface this looks like good advice – but it isn’t always true. Sometimes the lowest rate is an adjustable rate, which means it can and more than likely will increase at some later date. Thousands of people learned this lesson the hard way during the mortgage crisis. No, no, no. You may be approved for far more than you should spend. Base your purchase price on the price of a house that will satisfy your needs. For one thing, your mortgage lender knows only about your monthly obligations. He or she doesn’t know about the other ways you enjoy spending your income. You might want to take an annual vacation, send your children to expensive summer camps, or buy season tickets to the opera. You may get great enjoyment from dining in 5-star restaurants or attending ball games or concerts. You may have charities you want to support, or love going whole-hog with gift giving during the holidays. These are things that add spice to life, and if your house payment makes them impossible, you’ll soon come to resent that house. Leave room in your budget for those things that are important to your enjoyment of life. Second, you never know what life might bring. If you’re obligated to spend every dollar that comes in, a setback such as job layoff or an illness would be a catastrophe. Give yourself a cushion – and put some money away each month. You’ll breathe easier when you know that you could keep your bills paid for a few months even if you were off work. Take a close look at your finances. Consider your obligations, think about how you like to spend money, and decide how much you’d like to save each month. Then create a budget and go for a mortgage payment that fits comfortably within it. This is really poor advice. Instead, you should read every word, and get clarification on any sentences you don’t fully understand. Even if it takes a few hours, do it. It’s your money and your future on the line. Read the fine print. If there’s something there that could damage you in the future, get it changed or get a different lender. Preparing ahead means you’ll get the best loan when the time comes. A good lender will show you what you need to do now and in the coming months to assure that you’ll qualify for the very best rate and terms available. The better your credit score, the better the interest rate, and your lender will explain ways that you can raise that score. Even if you’ve had financial difficulties such as an account that has gone to collections or a previous short sale, he or she will help you overcome the obstacles and put your credit score on an upward trajectory. 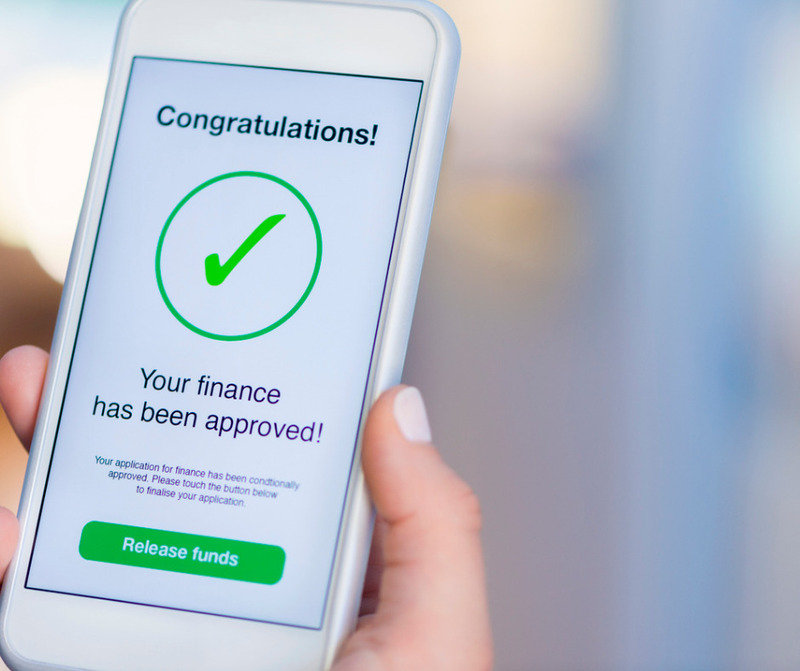 Your lender can also help you find ways to document necessary income or assets and establish a record of on-time payment to companies that don’t report to the credit bureaus. Your first step is to have a frank conversation with your lender about your finances and your financial history. Be absolutely honest in revealing your income, your expenses, and your overall budget. If you’ve been in financial trouble in the past, co-signed a loan for someone, or owe a debt that isn’t going to show up on your credit report, disclose it. Don’t be shy or embarrassed to disclose this information. Your lender will help you work through these problems, but can only do so if you’ve been honest. Your lender will do a “soft” credit check in order to see exactly what is shown on your credit report. He or she will explain how to correct any actual mistakes and show you why specific accounts are pulling your credit rating down – and what to do about it. 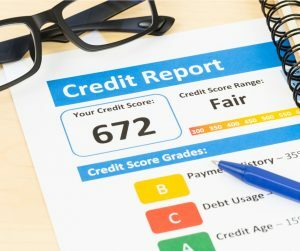 You’ve probably heard that too many credit inquiries reduce your score, and if you were applying for multiple credit cards, that would be true. However, the soft check will do you no harm. Next the lender will need to review your financial documents, including your bank statements and any investment or retirement accounts you may have. You’ll know what you can afford and what you’ll need for a down payment. While changing interest rates will affect what you can afford later on, you’ll still come away with a very good idea of the price range you can afford. You’ll also know whether you will qualify for a loan with a low down payment, whether there are down payment assistance programs available to you, and how different down payment percentages will affect your monthly payments. You’ll understand the mortgage process. This process can be intimidating, especially for first time buyers. 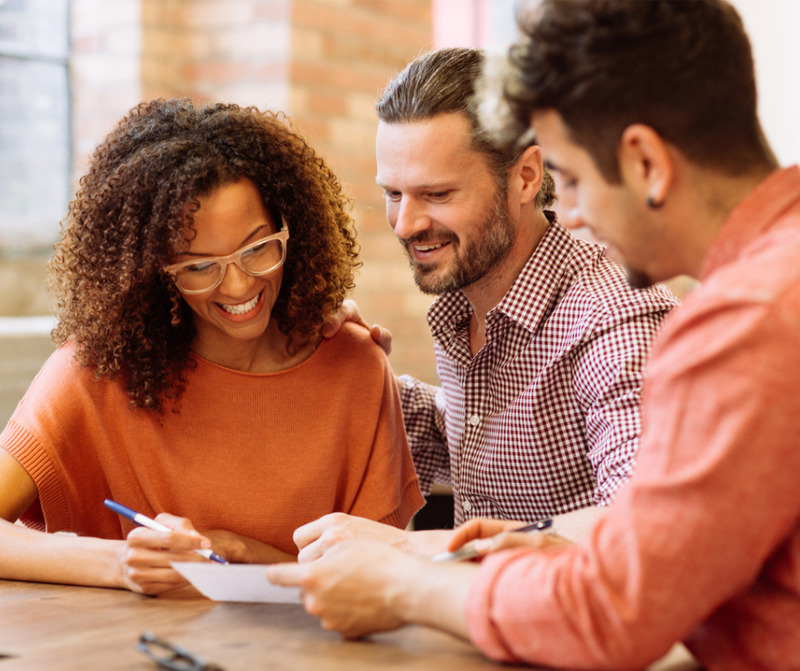 However, once you’ve gone through all these steps with your lender, you’ll know what’s required and what to expect when you’re ready to become pre-approved for a home loan. You may find that you’re ready now. After going through these steps, you and your lender may determine that you are already in a good position to purchase a home. It just might turn out that “Someday” means 2019! Whether you’re ready to become a homeowner now or want to prepare for a purchase at some time in the future, Homewood Mortgage, the Mike Clover Group is here to help. We’ll be glad to sit down with you and go through everything outlined above – including the help and advice.